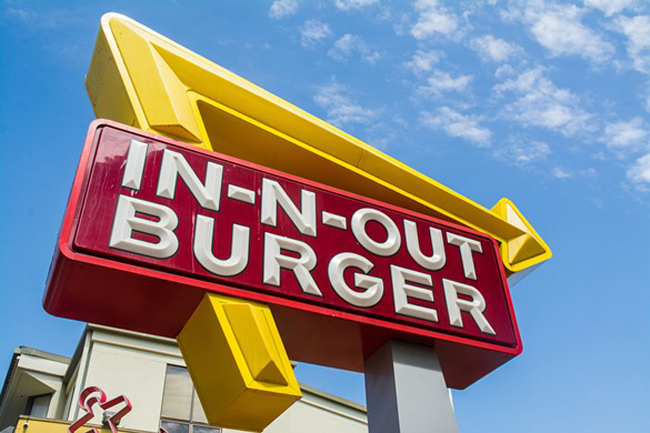 Guys, In-N-Out Burger Plans to Open 50 Colorado Locations, and We're Low-Key Freaking Out! In case you haven't heard the news (not sure how that'd even be possible because it's freakin' In-N-Out Burger, but whatever), In-N-Out Burger is FINALLY coming to Colorado after years of waiting and hoping and praying for a chance to bring the famed fast-food chain to the Centennial State. And if that bit of news doesn't get you excited, then this definitely will. Not only will there be one location (the first one is set to open in Colorado Springs), but there will be 50 locations across the state. Yes, 50! That means there will be 50 opportunities for you to get your grub on. Now, don't get too excited just yet. Where and when these locations will open has not been announced, and probably won't be anytime soon. But hey, if we've been able to wait this long for the burger chain to even consider expanding to Colorado, then we can certainly wait a bit longer for the official locations and dates to be announced. And trust us, it'll be well worth the wait! Though the 50 Colorado locations seem meager in comparison to the 300-plus locations scattered across several states -- including California, Arizona, Nevada, Oregon, Texas, and Utah -- this expansion isn't something to take lightly. In fact, it's something to be jumping up and down in excitement about. Why? Because Colorado will become the second state to house a production facility, outside of California, which means that In-N-Out is looking to have a solid, permanent presence here. Basically, the folks in charge are confident that it'll be so successful in Colorado that they're willing to move a large portion of the company here. Plus, you know, they're opening 50 locations just for us. And honestly, is there anything better than that? We think not. Are you as excited as we are about In-N-Out Burger's imminent arrival in Colorado? Share your thoughts with us in the comments below. It's way too hot to be drinking Pumpkin Spice Lattes, and here's why.